do is click on the picture of the orogram and then hit hte download button. 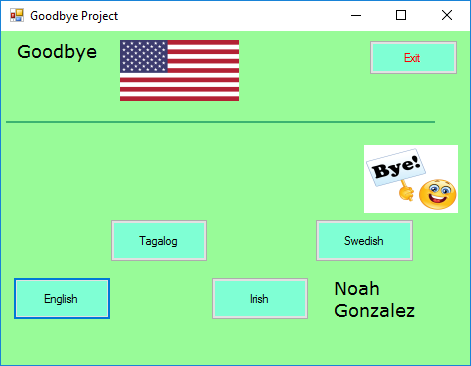 This program has 4 buttons when you press one the flag and the language of Goodbye changes. This program simulates a help page of a buisness. It has buttons which make the trademark, logo, and information appear. You can also change the Color and font. 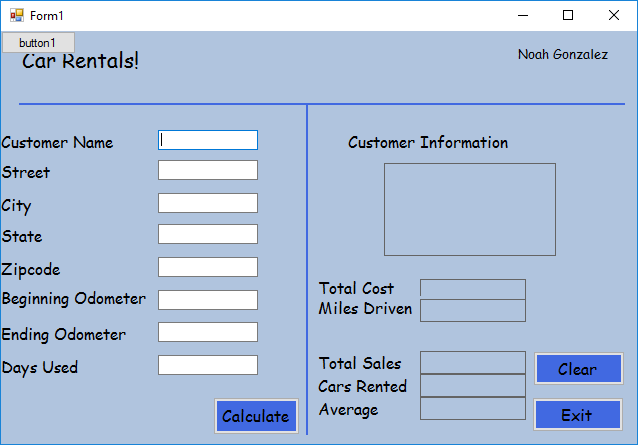 In this program you can enter data about yourself and the program will get the data and format it into a mailing label. 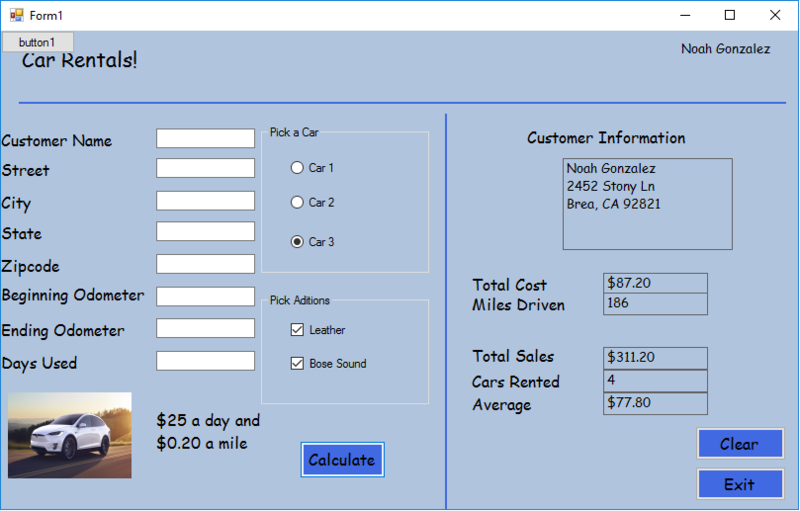 In this program you can rent a car and you are charged for the amount of days used and the miles you drive. You can also pick from a selection of cars, all with different day rates. 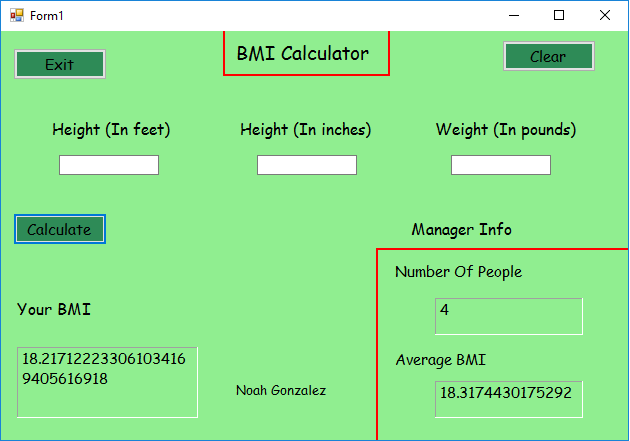 In this program you enter personal information and the program will calculate and display your BMI. In this program we went back to the car rental project and added a few upgrades to it. 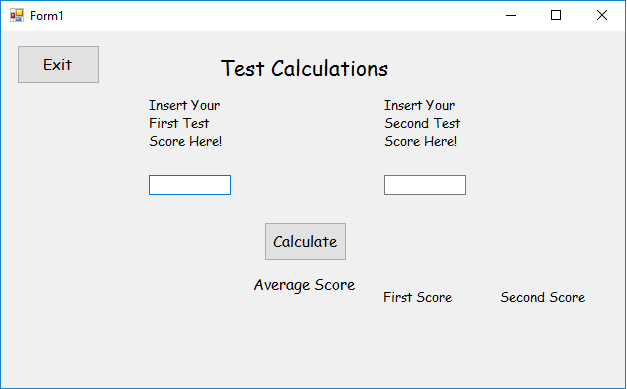 In this program you can enter 2 test scores and the program will tell you the highest of the 2 and the average. 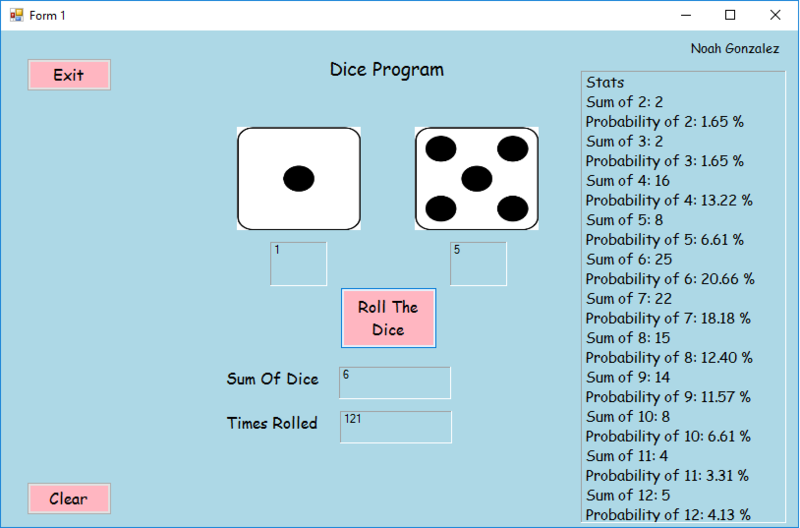 In this program you can roll a pair of dice and they will roll random numbers. Also the program will keep track and output the amount of times you have rolled a certain number and the chance of rolling it. This program simulates the casino game of craps. First you roll a number then a point is put on that number, if you roll that number again you will win. This program simulates a casino slot machine. You can enter any amount of money, then place a betting price, and spin! Every time you spin the money will add to the jackpot and if you win you will get all the money. This program shows two teams. There is a radio button that will change the sizes of the pictures. Also there is a button that will give you a history of the desired team. 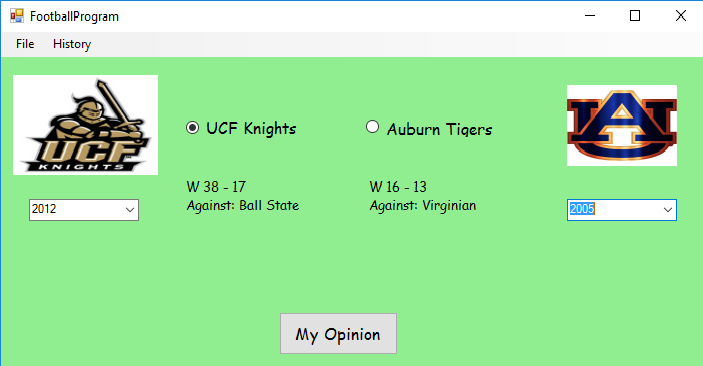 There is a checkbox that will tell you the wins and loses of the teams. 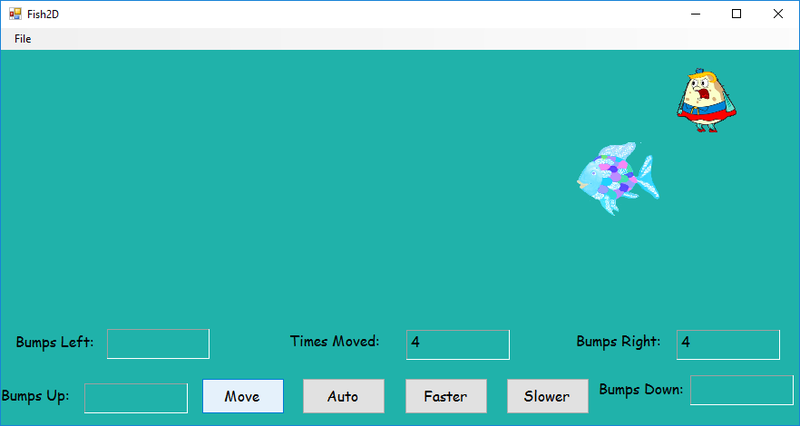 This program has a button that will move the fish 1 left or 1 right randomly and depending on which way it moves that is the direction it will face. 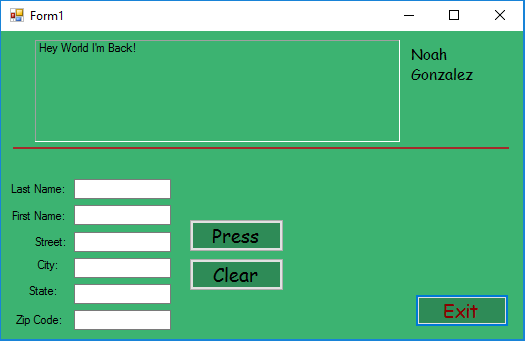 There is also an auto button that will move it automatically based on a timer that can either be sped up or slowed down. 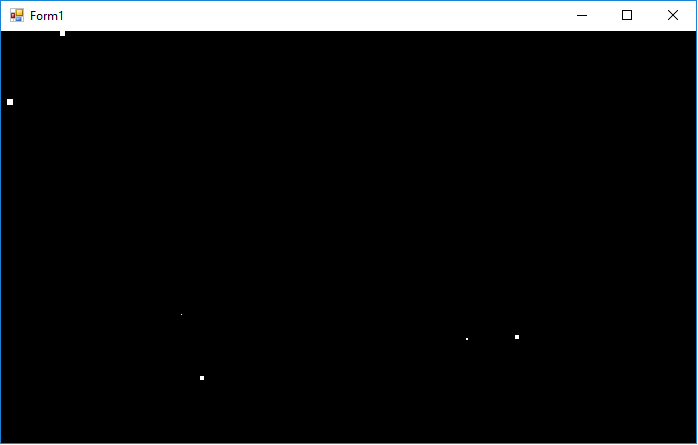 This program is similar to the fish 1 project but now the fish can move up and down. Also there is now a predator in the tank. If the predator and the fish try to go on the same spot then the predator will eat the fish and you will get a game over. 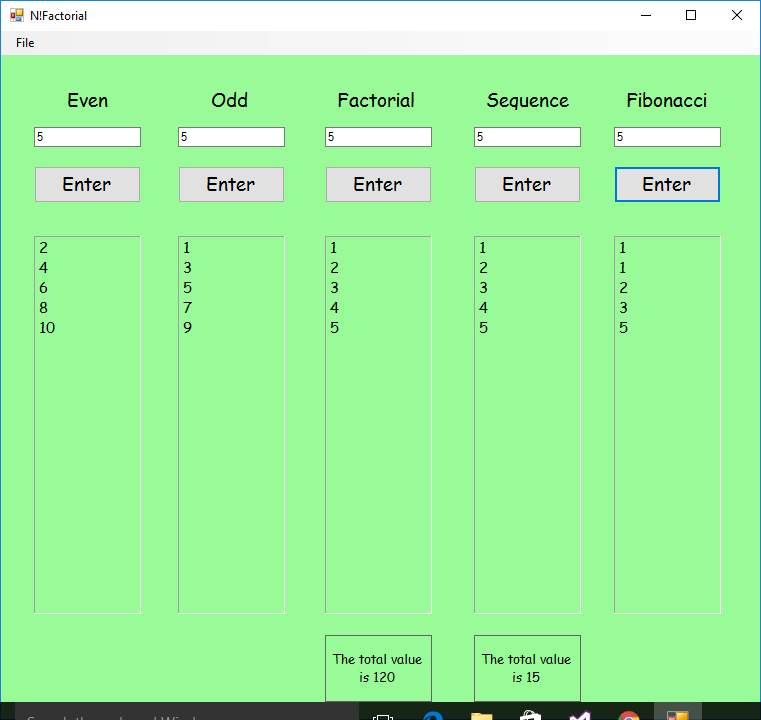 In this program we made it so the user can enter a number and depending on the number it will show the odd and even numbers. It will also give you all the nmbers leading up to that and give you the sum and product. Also it will tell you the fibonacci sequence. 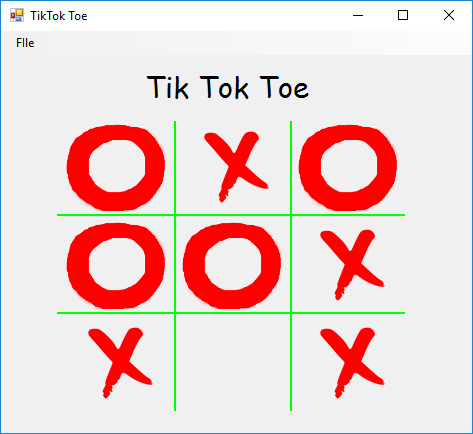 In this program I made a tic tac toe simulation. You can play with someone else to see who wins or if it is a tie. When one person wins it will tell you and then the game will automatically reset itself. In this game you are Jerry. 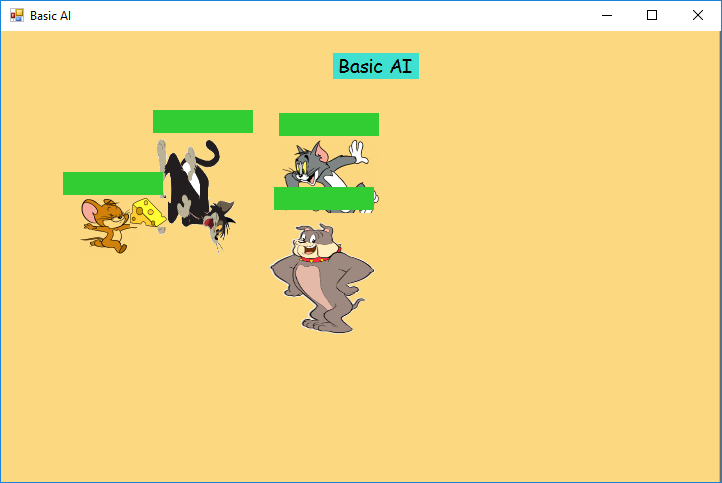 Tom, Spike, and Butch are all trying to kill you, and if they touch you, you will start to take damage. You also have a bullet that you can shoot using space bar. Once the bulet hits them it will come back to you and they will take damage. This program simulates a movement through space, while stars go on and off screen. 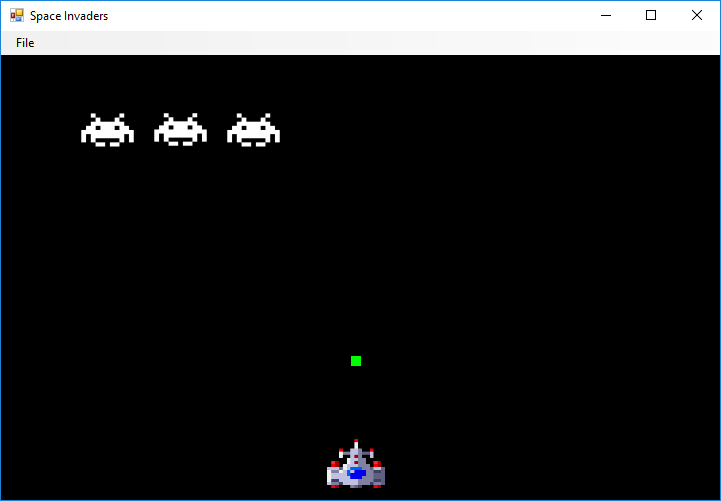 This program is a simulation of the real Space Invaders. There are three invaders who come down from above. You are the spaceship at the bottom. You can move left and right, also you have a bullet that you can shoot at them with.